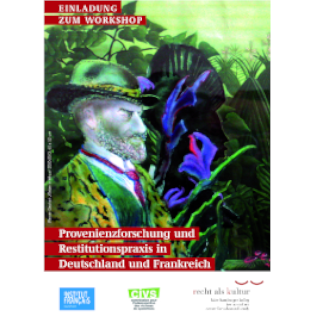 Monday, March 12 th, the Museum of Fine Artsof La Chaux-de-Fonds returned a stolen work of art. The mediation of the Commission for the compensation of victims of spoliations has found a way out to ten years a standoff between the Swiss municipality and the rights holders. The work is in all points remarkable: a painting, “The Valley of the Stour”, painted by John Constable in the early nineteenth century, and today valued at 1 million Swiss francs (about 850,000 euros). Remarkable also by his career: looted by the Office of the Commissioner for Jewish Affairs during the Occupation, then sold in Geneva after the war, his purchaser bequeathed it in 1986 to the city of La Chaux-de-Fonds. The mediation of the CIVS in 2016, then its recommendation in February 2017, led the municipality of La Chaux-de-Fonds to agree to return the work. To learn more, read the article that the Swiss daily Le Temps devotes to this case.